She found a lump near her left collar-bone on Aug. 28, 2012 – just days after her annual check-up. On Aug. 29, she went back to her doctor, who said the lump looked like a muscle strain but ordered a sonogram to be sure. The sonogram came back inconclusive and she took an MRI. The MRI revealed a mass, so she took a biopsy. Raynette A. Cameron has always been meticulous about her health. As an adult she never missed a dentist appointment or her annual women’s wellness check-up. She even got her first mammogram when she turned 40 years old, as recommended. 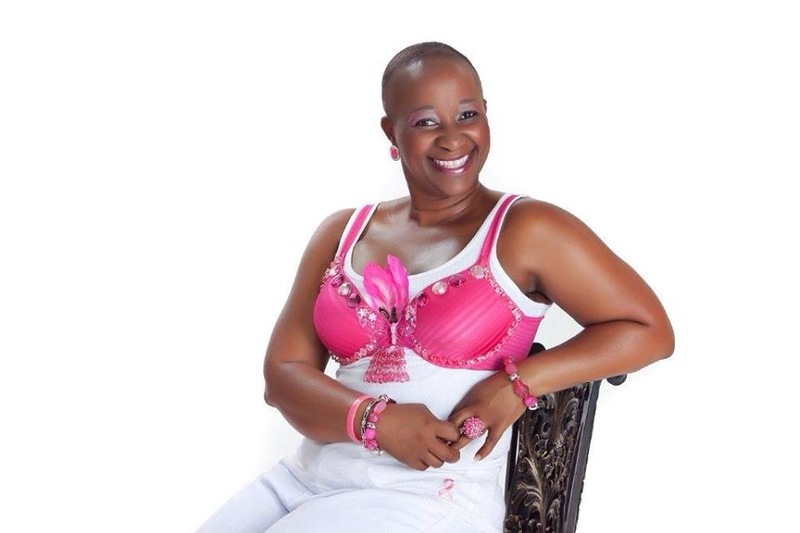 So imagine her utter shock when she was diagnosed with aggressive stage three breast cancer – a few days after she had been given a clean bill-of-health following her annual wellness exam. “The doctor said, ‘It’s not good news Raynette. It’s cancer,’” Raynette recalls of the day her physician of 12 years gave her that life-changing news. Shock! It’s the only thing Raynette said that she felt after receiving the diagnoses. The National Cancer Institute defines cancer as diseases in which abnormal cells divide without control and are able to invade other tissues. Cancer cells can spread to other parts of the body through the blood and lymph systems. According to the institute, there are more than 100 different types of cancer and breast cancer is the second most prevalent in the United States – prostate cancer is the first. Breast cancer represents 14 percent of all new cancer cases in the U.S. Breast Cancer Awareness Month is observed nation-wide in October. The first few days after the diagnoses were hard. “I cried for two days,” Raynette says. “Then I felt a calm that said ‘stop crying and get to work.’ With that I just put all my energy into what I needed to do to live.” Soon she was on a plane, from St. Thomas Virgin Islands where she lives, to Florida. Raynette comes from a large extended family who took her diagnoses hard. She notes that her family is also a prayerful family. While Raynette had dried up her tears, her family’s gloom continued. Raynette decided to seek treatment in Louisiana, where her father and step-mother live. On Nov. 30, she spent her 41st birthday in surgery receiving her chemo port. The lump that was four centimeters when it was discovered, was 12 centimeters by the time she began chemotherapy. For Raynette, chemo was not the nightmare that some other cancer patients experience. She lost all of her hair four days after she began chemo. Her appetite followed. But she took her medication “religiously” and never experienced nausea or vomiting. She continued chemo every three weeks to complete her six treatments. After completing chemo came another shocker. Raynette’s doctors told her they had to remove her left breast. “I told them they would have to take both,” Raynette says, without skipping a beat. 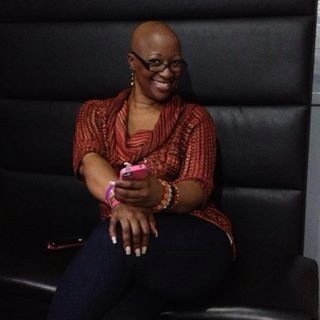 In May 2013 she had a bilateral mastectomy. During the surgery she remembers waking up to a team of doctors hovering over her. They asked how she was doing. When she replied she was fine, they told her they were taking her back into surgery. It was only after the bilateral mastectomy was completed and she recovered did Raynette learn that massive hemorrhaging caused her to “slip away,” during the surgery. “They had called a code blue,” Raynette says. After recovering post-operation, Raynette started radiation. “Radiation took more out of me than chemo,” she remembers. Still she found the energy to return to St. Thomas for the annual Relay for Life – twice; in June, but the event was postponed, and then in July for the event. She did 24 of the initially scheduled radiation treatments because third-degree burns to the treatment area caused her doctors to cancel the last two. “By July I was convinced I needed to come home,” she says. 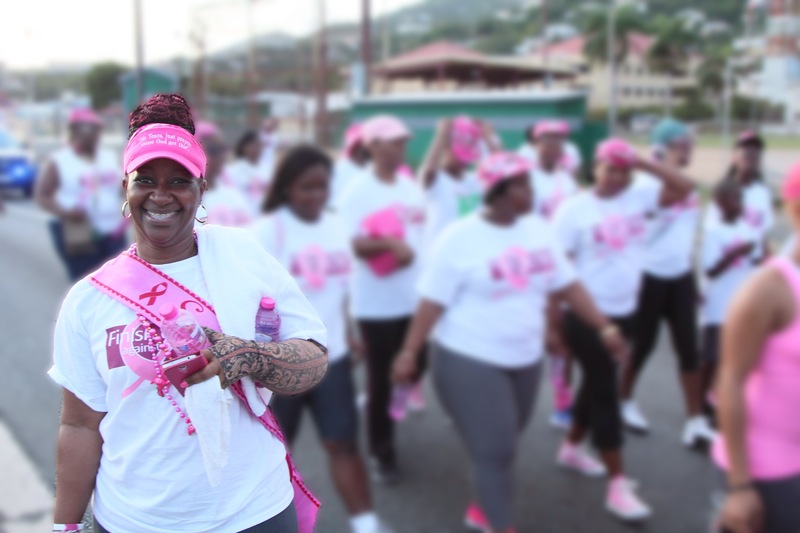 And on Aug. 28, 2013, exactly one year after she discovered the lump, Raynette returned back home to St. Thomas – cancer free. After successfully completing treatment, Raynette’s oncologist had a stark confession. “She said ‘we didn’t think you would make it,’” says Raynette. “It’s miraculous as aggressive as it was, it didn’t spread,” she notes. “That shocked the crap out of my doctors.” Because of the severity of her condition, she was also a case study at the hospital in Louisiana. “I’ve always been a fighter,” Raynette says from her St. Thomas office at Bellows International where she is the director of Human Resources. So she treated breast cancer as any other opponent that wanted to take her down – she fought it.